As the financial industry deals with new types of data and analysis methods, incoming professionals need to have new tools in their belts. With that in mind, the CFA Institute is pondering the possibility of adding artificial intelligence and big data analysis to the CFA qualifying exam. “We've always had a very big emphasis on statistical analysis, econometrics and data analysis in the program, and from what the industry is telling us folks still need this,” Stephen Horan, the CFA Institute’s managing director of credentialing, told Reuters in an interview. Aside from understanding corporations’ cash spending decisions and the nuts and bolts of complex financial instruments, Horan said more and more investment managers are dealing with unstructured data, such as satellite images of parking lots, to inform their investments. Such new techniques may also be helpful to active fund managers who face mounting pressure to perform from investors increasingly attracted to index funds. While big data is seen as the domain of hedge fund managers, retail-focused entities like BlackRock are also harnessing the techniques to try and boost results. The CFA exam on June 3 will be taken by a record number of around 190,000 aspirants. Last year, nearly 60% of the ones who took the day-long Level 1 exam failed. According to Horan, candidates “from the IT field” make up an increasing proportion of candidates sitting for the CFA exam. “Our job is to bring the coders up to snuff on the investment management,” Horan said. 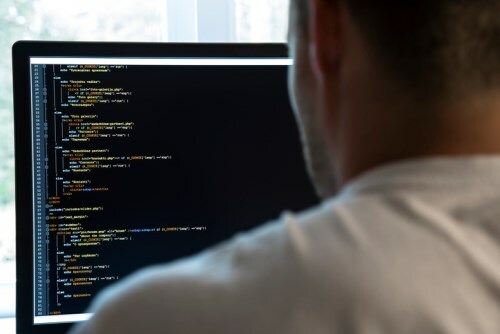 Coding will not be part of the CFA exam coverage for some time, but knowing how to guide analysis through data-science technologies and understanding its implications for an investment portfolio may be essential for investors today, he said. Can technology break beyond investment management? Could a hybrid approach be the best bet?